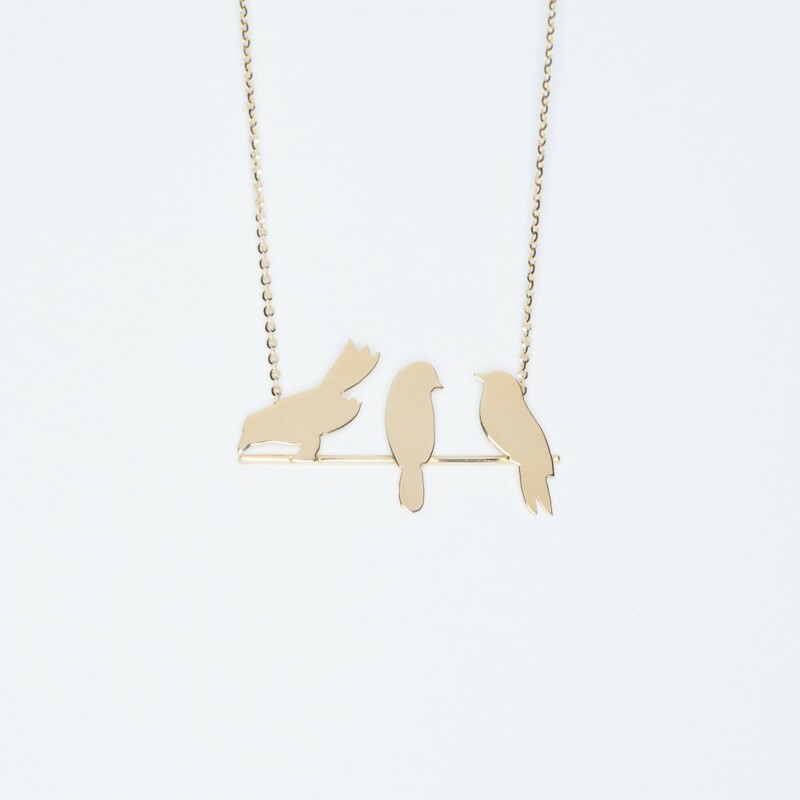 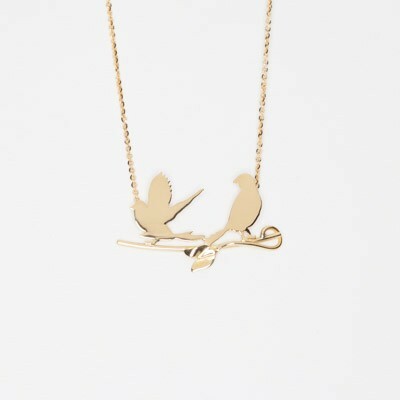 Three small sparrows sitting on a branch, 18 kt gold. 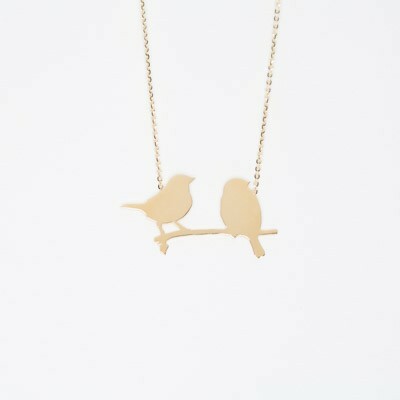 The sparrow is an animal linked to joy, freedom and grace, the person who chooses it needs sweetness and love. 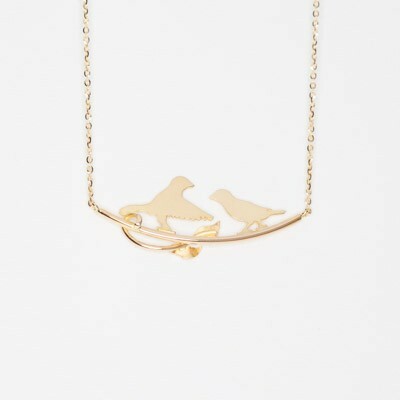 This necklace is definitely designed for a sweet soul, a kindhearted person, who is at the same time sensitive and determined. 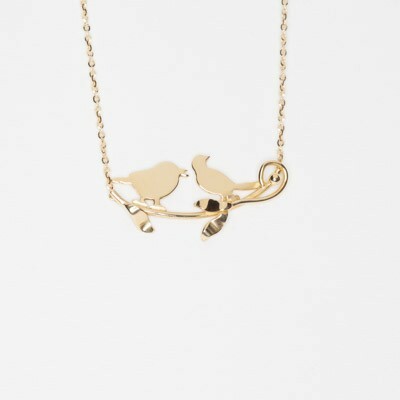 This item is handmade by our expert craftsmen, the charm is collected to a beautiful bright chain in 18 kt yellow gold. 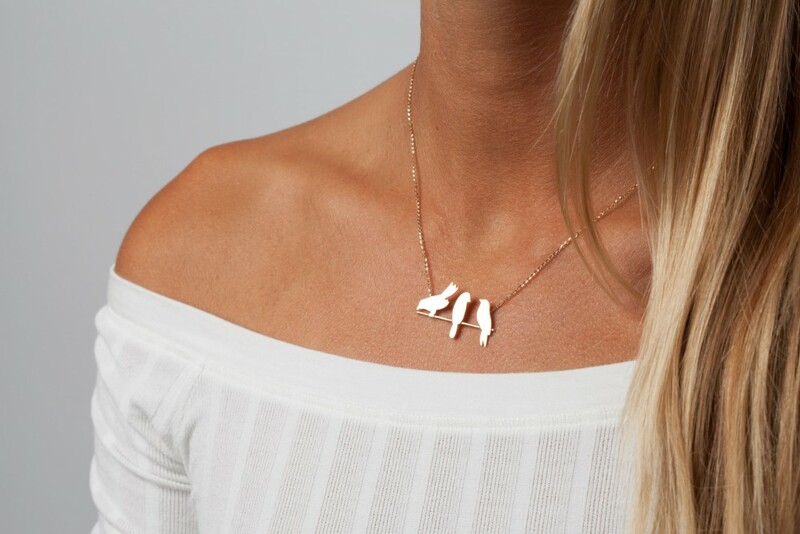 You can choose the length from the drop-down list next to the picture, according to the size that most is suitable for you (40 cm, 42 cm or 45 cm).